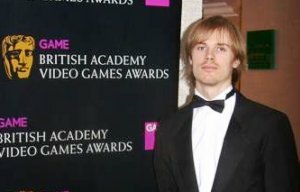 At the British Academy of Film and Television Arts (BAFTA) Videogames Awards Ceremony in London on 19 March 2010, the video game “Shrunk” was awarded the "Ones to Watch" prize. Lithuanian student Vykintas Každailis was team leader of “Butterflyers”, the team that created “Shrunk”. The same day "Shrunk" also won the "Best Game" award at the BAFTA Scotland New Talent Awards in Glasgow. Vykintas Každailis (centre) and his Butterflyers team. 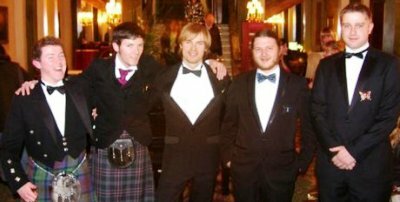 of Abertay in Dundee, UK - three artists (Vykintas Každailis, Andrew Macdonald and Michael Cummings) and two programmers (Stuart Kemp and Jacek Wernikowski). The “Butterflyers” team last year also won University of Abertay's ‘Dare to be Digital’ competition. The 23 year old Vykintas Každailis was born to a family of artists in Lithuania. After graduating from the National M. K. Čiurlionis School Of Art in Vilnius, Lithuania, he went on to graduate from the University of Abertay with a Bachelor’s degree in Computer Arts and is now working there for his Master’s degree. He was also involved in the animated film 'Happy Duckling', a winner of many awards around the world.